Lovely Villa With Private Swimming Pool Walking Distance To Haraki Boulevard. Property 8: Lovely Villa With Private Swimming Pool Walking Distance To Haraki Boulevard. Luxury Villa, Gennadi, Pure Elegance w. Private Pool, Walk to beach & village!! Property 12: Luxury Villa, Gennadi, Pure Elegance w. Private Pool, Walk to beach & village!! Villa Katrin - Exquisite villa with 60m2 private pool, parking and garden. Property 16: Villa Katrin - Exquisite villa with 60m2 private pool, parking and garden. Detached Villa with Acropolis and Sea Views. 10 minutes walk to Lindos Square. Property 32: Detached Villa with Acropolis and Sea Views. 10 minutes walk to Lindos Square. Villa White Lady with pool & jacuzzi! Property 35: Villa White Lady with pool & jacuzzi! 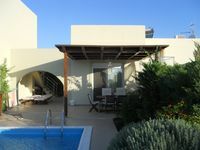 Property 49: WHITE BLUE VILLA!!!! Property 50: Villa With Private Pool, Garden, Breathtaking Sea View And Beach. Vacation in Rhodes? You definitely want to stay here! This is certainly the best resort we have rented. It is a wonderfully well maintained and well-equipped villa. The outdoor area with a beautiful garden and a very nice pool that you may enjoy all alone. Villa Katrin is perfectly located just a short distance to beaches, shops and restaurants. A bus to the city stops just around the corner. Thanks to Tia and her family who welcomed us and were available along the stay. And thank you so much for the nice gift we recieved when we left. We will definitely recommend the place to family and friends and will gladly return again.